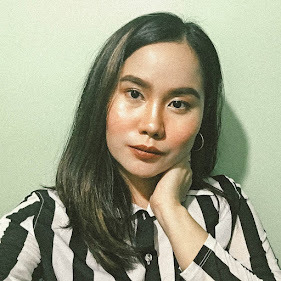 It's another month for good music and playlist! Some are new, some are old, but as long as they give us an eargasm, why not? 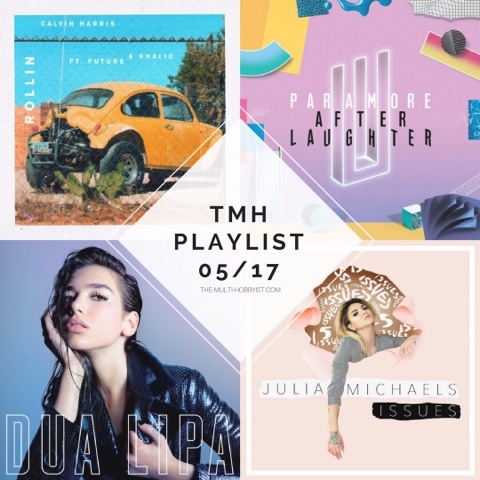 Here are my picks for this month's #TMHplaylist! So finally, Paramore released a new album. On May 12th, the band released their fifth studio album called "After Laughter", which pretty much made up this playlist. Also, I was fortunate enough to be at Dua Lipa's exclusive media showcase here in Manila, so a few of her songs definitely made up this month's list as well. "Afterlight" album by Paramore - Finally, after 4 years and a month of waiting, they finally released an album after their self-titled one. They're back with happy and funky music, which is kind of the opposite of my forever favorite albums: "All We Know Is Falling" and "Riot!". Nonetheless, their first single off the new album called "Hard Times" is such a fun tune to sing to. Dua Lipa - As I previously mentioned, I was at her exclusive media showcase last May 13th at Marco Polo Ortigas. She only sang three songs: "Blow Your Mind (Mwah)", "Be The One" and "Lost In Your Light", which instantly became my favorites because of how amazing she sounds live! "Mama" by Jonas Blue, William Singe - I've been a fan of Jonas Blue ever since "Fast Car"! This time, he collaborated with Australian singer, songwriter and YouTube personality William Singe. I was again, fortunate to be able to witness him perform this song live at the recently concluded Manila X Festival! "Rollin" by Calvin Harris, Future & Khalid - I have always loved Calvin Harris ever since his album, 18 Months was released. It was one of my favorite albums ever. Calvin has a distinct sound for his songs, but this time, he's sounding a little bit hiphop-y. "No Promises" by Cheat Codes feat. Demi Lovato - Perfect song for lounging by the beach! "Right Now" by HAIM - Like Paramore, HAIM is finally back with a new single, so yaaaay! Girls, please drop your album stat.